Talking testing, automation... and anything else. I’ve been playing around with Protractor, a great, new(ish) testing framework from our friends at Google. I’ve shared my example code on GitHub for those that might be interested in such things. I’ve also made a quick screencast that walks you through downloading and running the example code. In this screencast, I walk you through writing your first test using Geb and Spock. We’ll create a page object and a spec (test), and then run our new test on multiple browsers. If you’re just getting started, you might want to take a peek at my Geb Quick Start and Project Overview screencasts. I created a screencast that demonstrates how to quickly get up and running with Geb. This demo assumes you have installed a Java JDK, IntelliJ CE and Safari, and we’ll make use of my geb-example project, available on GitHub. 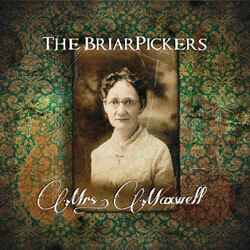 When not hunched over a keyboard, I'm often hunched over a mandolin, playing in my band, The BriarPickers. Thanks to SauceLabs and TestingBot for providing accounts to run tests!